Early morning and I can almost see Heaven from my front porch. While checking electric fences I catch a late sleeper. After sorting our sheep I count 29 ewes and one ram~~~I think. to give the colts & geldings a very big, green field to graze & play in. 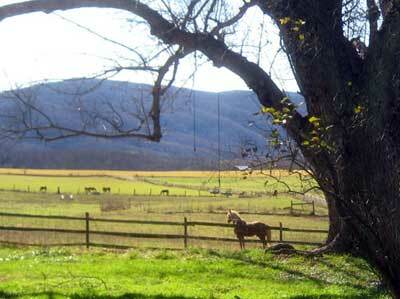 Eventide -- perhaps Quietude Highland Trace is thinking he is seeing Heaven too, Horse Heaven that is.